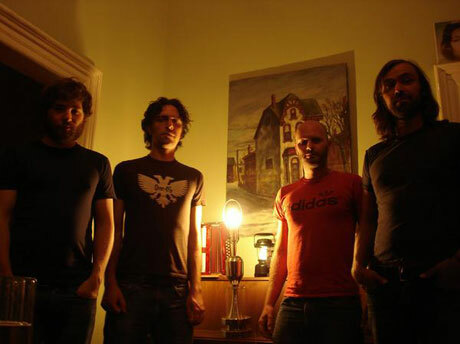 In the wake of such late influential Toronto bands as the Deadly Snakes and Cursed, some members formed Quest For Fire and released their self-titled debut on Storyboard Records last year, after which the band shared the stage with a who's who of stoner rock, including Black Mountain, Ladyhawk, Witch and Earthless. Now, the band's debut will be getting an even wider release when it's issued in the U.S. and abroad by venerable stoner label Tee Pee Records on June 9. Not only will the wider release push the band to international audiences but it will also guarantee that they will tour Canada more often, so it's win-win across the globe. 3. "Hawk That Hunts The Walking"
4. "I've Been Trying To Leave"
5. "You Are Always Loved"
6. "Next To The Fire"